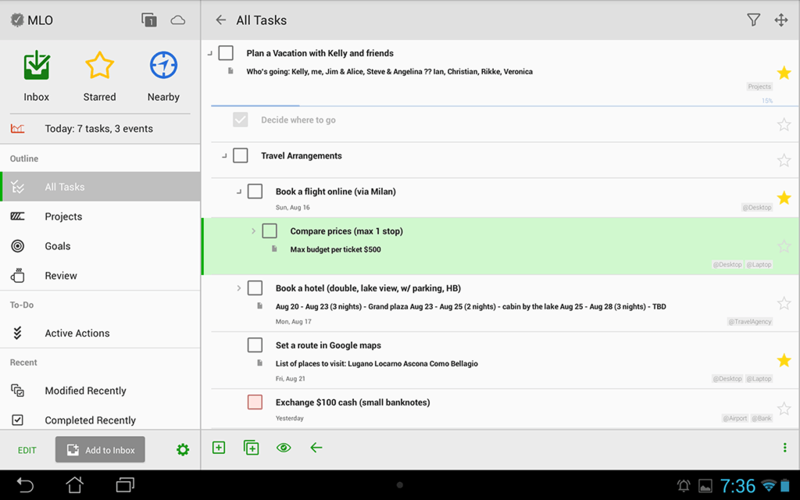 Your tasks can be organized into projects and you can create an infinite hierarchy of sub-tasks. The breakdown will help you to get manageable components. 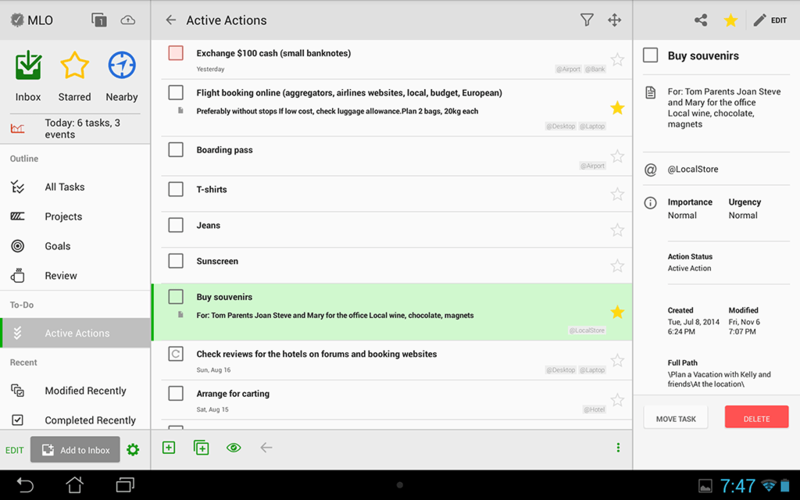 You can automatically get a list of your most urgent to-dos sorted by MLO. You should just click on a special view for that. 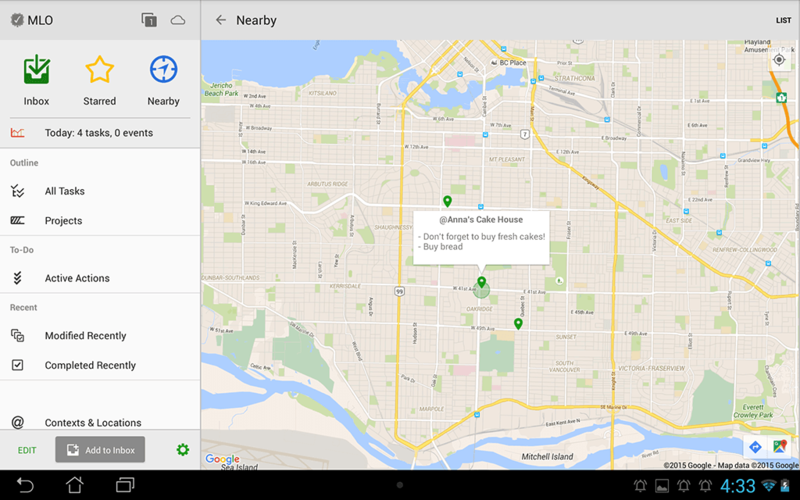 You can get an alert when you are nearby a certain location, for which you have planned some tasks. MLO can highlight action items on a map for venues within a specified radius. Visualize your everyday workload! 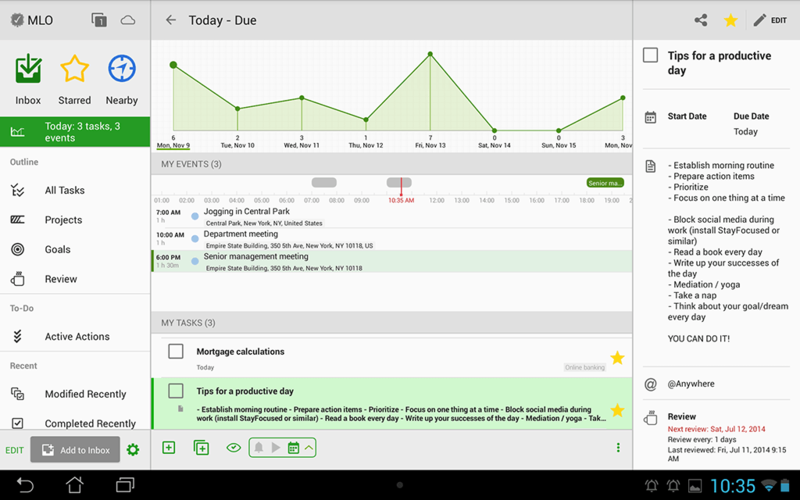 MyLifeOrganized will show all the tasks and events you have for the next few weeks in a graph form, by simply connecting with your calendar. You can create custom views! 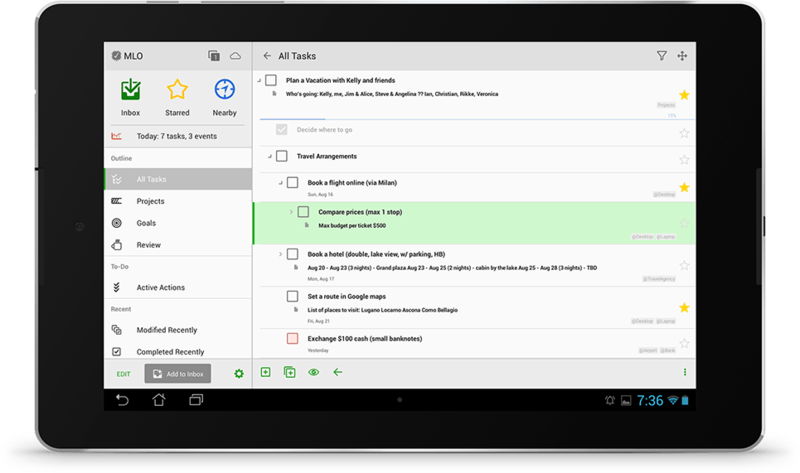 This is how you can filter, sort and group your tasks on the Android device the way you want, using almost unended capabilities added to MLO 2. MLO allows you to setup multiple Android widgets. 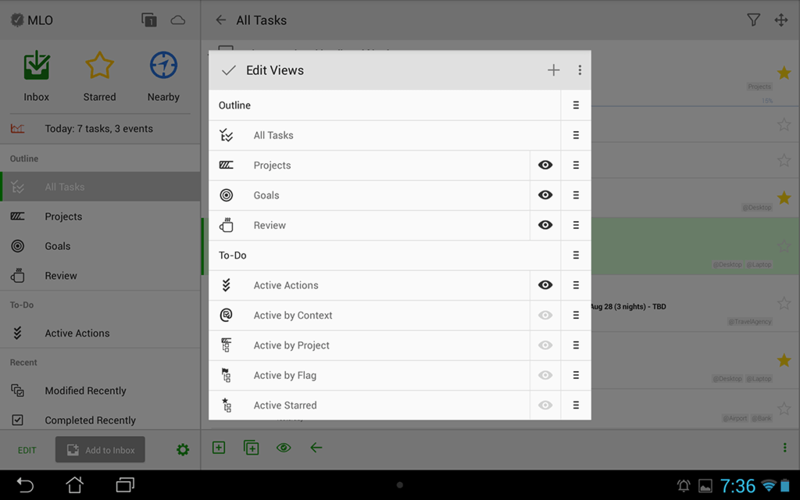 A widget would display tasks from one of the many Views you have in the app. (*) TAX/VAT may apply for certain countries. PRO is also available with Google Play In-App purchase. You can download APK file and install it manually on your device. Please make sure you allowed installation of apps from sources other than the Play Store in Android settings. 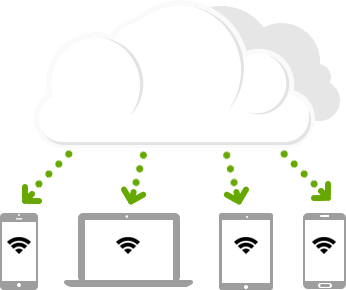 The MyLifeOrganized Cloud Sync service allows you to synchronize your data between different devices running the MyLifeOrganized task manager.